This 4"x6" acrylic holder features a 39mm Minted University Logo Coin. 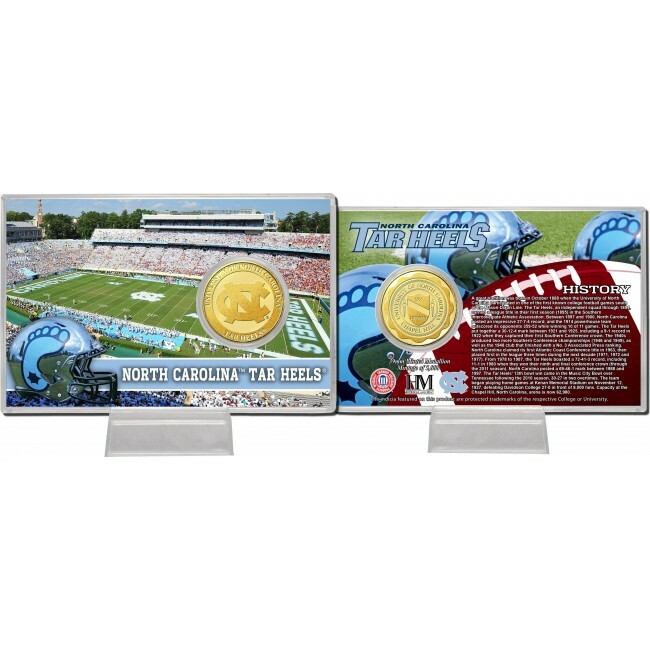 Featured with the coin are exclusive images of the University's Football Field as well as facts and History on the back. Each Coin is individually numbered, Limited Edition of 5,000 and Officially Licensed by the CLC. Proudly made in the U.S.A. by The Highland Mint!